A selection of the best gifts for a 5 year old boy. Do you need to buy a Christmas or birthday gift for a boy aged 5? We've got some great ideas approved by a real 5 year old boy! What to Buy for a Boy, Aged 5? My older son has just turned 5 and so have many of his friends. It can be tricky to know what to buy for kids that they will really enjoy. In this article I'll share our recommendations for the best toys for a five year old boy. I've included gifts for a range of interests and budgets so you should find something here to suit the child you are buying for. Lots of the gifts will work for slightly older or younger boys too, and of course lots of girls will also enjoy them. 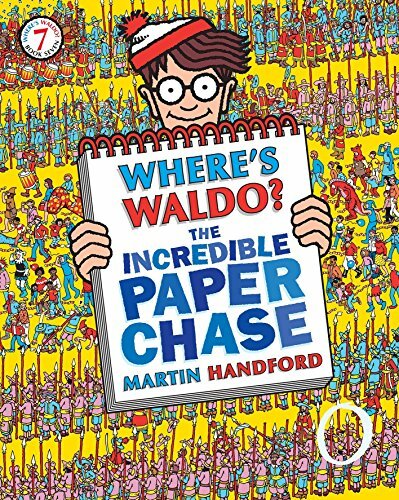 Let's start with a Where's Waldo book. A new version of a timeless classic. 5 years is just the right age to start finding Waldo. Lego is a great choice for a 5 year old boy. At five kids are able to build some pretty cool models with Lego and never seem to have quite enough pieces. 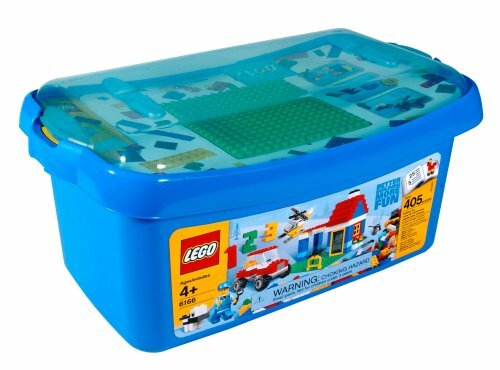 If the child is interested in one of the Lego themes and you know which sets they have already got then you could choose a themed set. If not, you can't go wrong with a big box of Lego bricks. We're always pleased when our son receives an addition to his Lego collection. You just can't have too much Lego. An explorer vest is a great gift for a 5 year old boy. It works well for boys who are interested in dinosaurs - they can play paleontologist. Kids who love animals and nature can pretend to be their favourite nature expert. Adventurous and outdoors loving kids can pretend to be an explorer, off on an adventure. 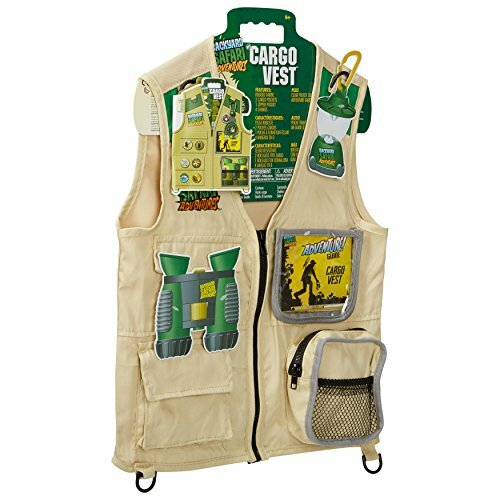 This Cargo vest has loads of pockets for field gear and you can get lots of matching accessories to clip on too. This weekend my son put his cargo vest on as soon as he woke up so he could look for nocturnal animals while it was still dark. 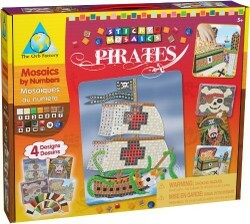 A craft set is great for fine motor skills and encouraging creativity. 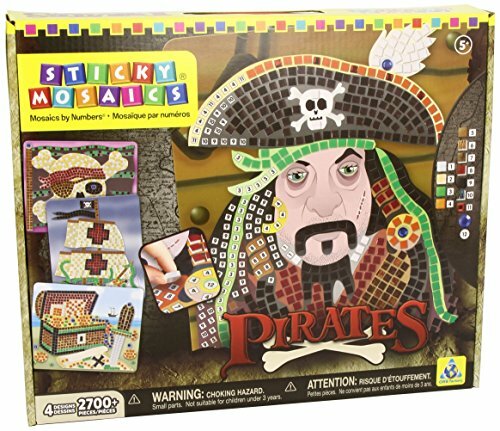 This pirate mosaic set is just the thing for getting a five year old boy to sit and concentrate for a while and produce something he's proud of. This Orb Factory set gets very good reviews and comes with everything you need to make four different designs and 4 wall hangers too. The mosaic tiles are sticky-backed foam so you don't need glue or an extra tools (it can be annoying when you recieve a set that needs extra stuff!). There are some cool sparkly tiles too. My partner remembers his Hot Wheels sets from the 70s and was keen to get my boys started with Hot Wheels. Most 5 year old boys are very into cars and will love a set like this. My sons aren't actually that into cars, but they do love Hot Wheels. This set is pretty cool because it attaches to the wall (not permanently, no nails) and doesn't take up too much space. 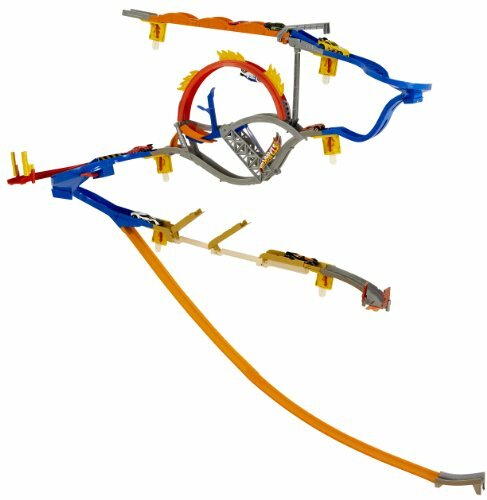 The Hot Wheels Wall Track Starter Set has enough pieces to be interesting on its own and can be extended with more sets to create even more exciting courses. 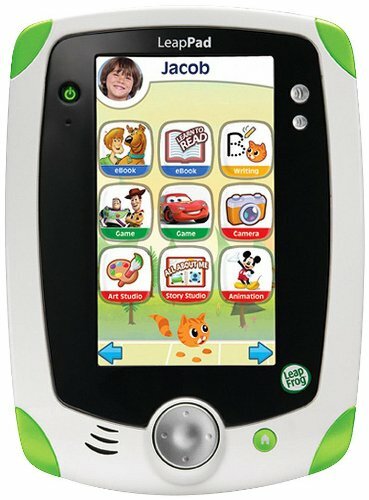 At 5 years old, a boy will get a lot from a LeapFrog LeapPad explorer. You can play games on it, learn to read with interactive eBooks, take photos and vides and there's an art studio for drawing too. The LeapPad comes with some apps and you can buy additional apps including games and eBooks to download onto the tablet. There are lots of apps that feature kids favorite movie characters. The tablet has a movement sensor which allows lots of fun games that involve moving the tablet. This is more expensive that some of our other recommendations, but there's a lot you can do with it. My five year old son loves camouflage. He loves the idea of being able to hide in the trees and not be seen. And he loves dens and play tents and hiding away in small spaces. 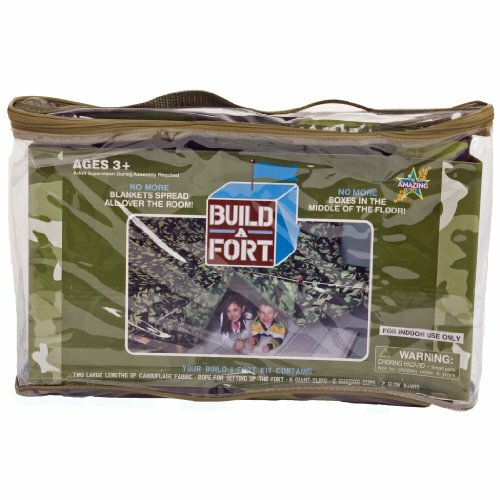 This Build a Fort Camo Tent is a perfect gift. The set includes two sheets of camo fabric and ropes, clips and suckers to use to turn them into a tent, animal watching hide, or miltary outpost. Great for imaginative play. A collection of the best gifts for a 6 year old boy. These should help if you need to buy a birthday or Christmas gift for a boy aged 6. The Fisher Price Imaginext Dinosaurs are big and sturdy and lots of fun. Let's take a look at the latest Dino Riders range. Do you know a child who likes dinosaurs? Here's a collection of dinosaur science and paleontology gifts for kids who love dinosaurs and other prehistoric creatures. What Gift Would You Get a 5 Year Old Boy? A collection of the best gifts for a four year old boy. Lots of ideas for older preschoolers. A selection of the best gifts for a 3 year old boy. 3 year old boys are great fun to buy for, moving from toddler to preschooler they can have some great gifts.